If you have a life-threatening injury, then a trip to the hospital’s emergency room will be your best bet. However, you will run into problems like big bills, long wait times, and insurance not being accepted. This is where Urgent Care might be a more optimal choice. Urgent Care is the best choice around for treating non-lethal injuries. We offer primary care options, and we are much cheaper compared to a hospital. Also, we accept all forms of insurance. One reason so many Americans are in debt is that they go to hospitals for care when an Urgent Care facility would’ve treated them just as well and for a much lower cost. Most people think the hospital is the only place you should go for emergencies which is not the case. If none of these symptoms apply to you then a hospital might be a better choice. 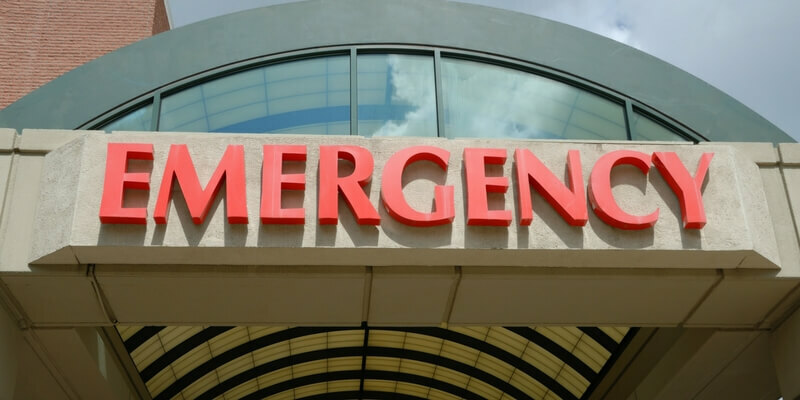 Another great advantage of Urgent Care facilities over hospitals is that there are more of them which means they are more convenient in the case of an emergency. Going to a hospital might not guarantee you the immediate care a hospital should give. Of course, if you have serious injuries that require a more invasive procedure, the hospital is always a better choice. Many insurance providers offer lower copays for Urgent Care patients as well. Ask for Itemized accounting: Mistakes happen in hospitals from time to time so it’s important to make sure you are not being charged for a procedure that was never done or for medications that were not given. Talk to the billing department: Often times there are different costs for different procedures. You should see if the billing department is overcharging you for a procedure that another hospital might be charging less for. Ask for a payment plan: Most hospitals will allow you to break up your hospital bill into smaller payments monthly so you’re not paying a lump sum. Crowdfunding: Many people ask for other people to help pay their bills on websites such as Giveforward.com, Fundly.com, and Youcaring.com that are specifically meant for medical debt. Please talk to your healthcare provider and/or your doctor in order to find which option is right for you based on your current situation. If you have a medical issue that you would like addressed at a reasonable rate, choose Urgent Care. Our doctors will take care of you, and you can rest assured your bills will not pile up. Stop on by to get treated.